The author published his research last summer. During the trial, Sapanov said that he expressed his own opinion in his work and just wondered: "maybe the mythological sage Kydyr is the true God, and Allah is Satan?" Sapanov insists that he conducted scrupulous research into the pagan beliefs of the Kyrgyz, studied the Koran, the Bible and Torah, and believes that the clergy in Kyrgyzstan are imposing alien faith to people. An imprisoned journalist Akylbek Osmontegin in an interview with Fergana said that he had read the publication. "The book is interesting. The author quoted enough scientific and religious references from various writings for every argument and information he provided," Osmontegin said. "Sapanov's book says that people could write the Koran and the Bible according to the teachings of Satan. According to the author, the Kyrgyz people came from the holy Kydyr-Ata (holy prince). And even there is a Kyrgyz tribe named "kydyrsha", whose representatives are considered to be direct descendants of Kydyr-Ata. Several newspapers published excerpts from the book attracting the attention of religious figures. Right after this some theologians and politicians, declaring their piety on occasion, appealed to the Prosecutor General's Office and the State Committee for National Security (GKNB) stating that the book "Kydyr sanjyrasy" poses a threat to Muslims." In particular, the theologian Kadyr Malikov, who simultaneously performs the functions of presidential adviser on religious issues, said during the February press conference that this book is nothing but an element of the information war. "We reviewed the book. The State Commission for Religious Affairs examined [it]. We believe that its content is not only a threat but openly insults all religions and religious feelings. The author has crossed the line; it is, you might say, extremism," Malikov said. Malikov even suspects that it is a kind of project that aims at fomenting an interreligious conflict. The law enforcement bodies must find out "who is behind them, who is the puppet master," he says. Former MP Tursunbai Bakir uulu, at every opportunity declaring his deep religiousness, said that the author is behind the forces that created the terrorist organisation called "Islamic State" (banned in Russia and other countries). Participants of the press conference said that law enforcement bodies should take measures and preserve traditional values and peace in the republic. They were outraged that the journalist shared his opinion on the pagan past of the Kyrgyz people. The journalist, in his turn, is sure that all charges against him are contrived, and there are no appeals that ignite inter-religious strife in his book. Sapanov believes that his book had no independent examination and the courts only favour the priests and politicians. In his defence, he even cited the words of the president of the country. During the trial, the journalist quoted the words of President Atambayev, who made it in 2014, telling that the Arab world wants to impose their culture and traditions: "Instead of putting on people's clothes, our women wear closed Arab things - veil, hijab and so on. We must preserve our traditions, our culture. Anyone who loses his traditions and language loses his state." The Kyrgyz Republic (Kyrgyzstan) is a sovereign, democratic, legal, secular, unitary, social state. 1. Everyone has the right to freely seek, receive, store, use information and distribute it orally, in writing or in any other way. Bishkek lawyer Nurbek Toktakunov is sure that there are no experts on theological issues in Kyrgyzstan. "To define the material as extremist, experts should give it an assessment," the lawyer said. "But I know for sure that we do not have experts in theology in our country. Moreover, even there is no methodology on experts could follow. I have seen the conclusions recognising the foremost Islamic expression 'Allahu Akbar' ('Allah is Great') extremist. In my practice, there were cases when the state prosecutors were sure shouting 'Allah Akbar' is an extremist act. Public activist Zulfiya Marat believes that the Sapanov case shows that the skewed country; the authorities are trying to flirt with newly converted believers, for whom their acquired faith is in the first place, and only then - the traditions of their people. "It is these claimants who bless to dress Kyrgyz women and girls not just in hijabs, but in black robes - abayas, thus rudely violating centuries-old traditions of Kyrgyz people. The authorities encourage a social conflict. These religious neophytes will gain even greater strength after such a judicial decision. Presidential candidates should pay attention to dangerous trends of the future destabilisation of the Kyrgyz society." "To date, Kyrgyzstan is no longer the country that the world community knew and which once followed the course of democratic development," believes lawyer and human rights activist Dinara Mukanbaeva. "The ordered, political and illegal verdict over Z. Sapanov finally discredits the secular and democratic status of the country. Radical Islamists are ruling the country. President A. Atambayev, unfortunately, supports them. Every year, he participates in a prayer on the square on holidays. Rooms for reading namaz opening in the parliament, in many state institutions. Half a population of women wear closed religious clothing. Men grow beards and wear Arabian clothes. Imams of all kinds, through the media, openly make appeals to intolerance towards other religions, propaganda of children's and closely related marriages is under way. Throughout the country, mosques are rising on every street, while the Constitution states that no religion can be considered mandatory and the only genuine and can not interfere in the affairs of the state. In fact, we see the opposite. Islamists - Tablighi, Wahhabis / Salafis and representatives of other radical currents - sit in all echelons of power and make political weather in the country. 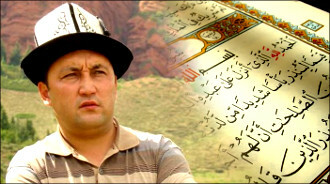 De facto, Kyrgyzstan is gradually becoming an Islamic republic. Today, individuals face persecution for their political position, for criticism and statements, for their public and human rights activities, even for their feelings for their people in this country. Much to our regret, this incident created a precedent for interpreting a criminal article and using the criminal code to file scores with dissident journalists, writers, researchers, scientists, as well as atheists, agnostics and representatives of other religious denominations. In our time, imprisoning a free-thinking journalist-researcher is equivalent to burning witches in the Middle Ages." "The arrest of writer and journalist Zulpukar Sapanov is heating up the already complicated sphere of interreligious relations in the country. It creates a perilous precedent," says a statement of the Bishkek Committee to Protect Freedom of Expression. Members of the Committee asked the court of appeal of the Bishkek City Court to objectively and comprehensively examine this case. "We also ask the Spiritual Board of Muslims of Kyrgyzstan and the State Commission for Religious Affairs to conduct explanatory work among the aggressively-minded believers to avoid rocking the boat of the existing religious situation."